NMPF’s Board of Directors offers scholarships each year to qualified graduate students (enrolled in Master’s or Ph.D. programs) who are actively pursuing dairy-related fields of research that are of immediate interest to NMPF member cooperatives. Graduate students pursuing research of direct benefit to milk marketing cooperatives and dairy producers are encouraged to apply (they do not need to be members of NMPF to qualify). 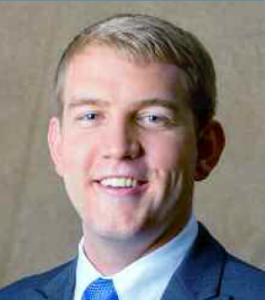 Each year the top scholarship applicant is awarded the Hintz Memorial Scholarship, which was established to honor Murray Hintz following his death in 2005. Hintz served as Chairman of the Board for Cass-Clay Creamery, Inc., one of the cooperatives that played a key role in establishing NMPF’s National Dairy Leadership Scholarship Program. The NMPF Scholarship Committee selected two graduate students to receive scholarships as part of the 2018 NMPF National Dairy Leadership Scholarship Program. The 2018 Hintz Memorial Scholarship, given to the top scholarship candidate, was awarded to Isaac Salfer (left), a Ph. D candidate in animal science at Pennsylvania State University, who is studying the effect of nutrient intake on circadian rhythms in the mammary gland of dairy cows. A scholarship was also awarded to Gustavo Mazon, a M.S. candidate in animal science, at the University of Kentucky, who is studying the effects of yeast-derived microbial protein in transition dairy cows’ health and production. The NMPF Scholarship Committee selected two graduate students to receive scholarships as part of the 2017 NMPF National Dairy Leadership Scholarship Program. implications of hot-iron disbudding in dairy calves. A scholarship was also awarded to Carlyn Peterson, a Ph. D candidate in animal biology, also at the University of California-Davis, who is studying the use of a novel methane inhibitor to improve the environmental footprint of dairy cattle. Matthew Borchers (left), a PhD candidate in Dairy Systems Management at the University of Kentucky, who is studying the effect of housing environment on bedding bacterial profiles and immunological function of dairy cattle. Brittany Shonka-Martin, a PhD candidate in Animal Science at the University of Minnesota, who is studying a comparison of feed intake, frame size, body weight, and production efficiency of ProCROSS versus Holstein cows. Jennifer Spencer, a PhD candidate in Animal Physiology at the University of Idaho, who is studying the role of aspirin on prostaglandin secretion and alternative synchronization protocols to improve pregnancy rates in lactating dairy cows. Four graduate students researching dairy-related topics were been selected to receive $2,000 each from NMPF’s National Dairy Leadership Scholarship Program. Karmella Dolecheck, left, is a Ph.D. candidate in animal science at the University of Kentucky. 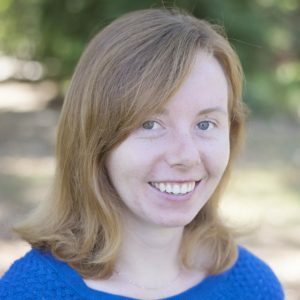 Her research focus is increasing dairy profitability through the application of a whole farm stochastic simulation model. Paul LaPierre is an M.S. candidate in animal science at the University of Illinois at Urbana-Champaign. His research focus is the effects of hydroxy vs. sulfate forms of trace minerals in milk replacer on dairy calves through weaning. 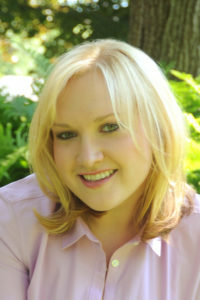 Barbara Wadsworth is a Ph.D. candidate in animal science at the University of Kentucky. Her research focus is use of precision dairy farming technologies to detect lameness in dairy cattle. At their June 2014 meeting, the NMPF Scholarship Committee selected two graduate students to receive scholarships as part of the organization’s National Dairy Leadership Scholarship Program. The 2014 Hintz Memorial Scholarship, given to the top scholarship candidate, was awarded to Curtis Park (pictured left), a Ph.D. candidate in Food Science at North Carolina State University. His research project is the effect of processing on the quality of skim milk powder and sources of off-flavors in whey protein concentrate. 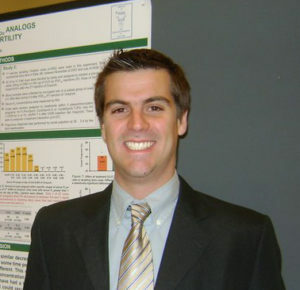 A scholarship was also awarded to Robb Bender, Ph.D. candidate in Dairy Science at the University of Wisconsin-Madison for his research on using statistical process control to integrate nutritional data in real-time analysis on commercial dairy farms. At their June 2013 meeting, the NMPF Scholarship Committee selected three graduate students to receive scholarships as part of the organization’s National Dairy Leadership Scholarship Program. The 2013 Hintz Memorial Scholarship, given to the top scholarship candidate, was awarded to Kristen Glosson (left), a M.S. 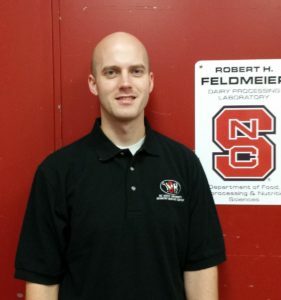 candidate in Animal Science & Nutrition at North Carolina State University. Her research project is supplementing a pasteurized milk balancer product to two feeding levels of pasteurized whole milk on the health and growth of dairy calves. 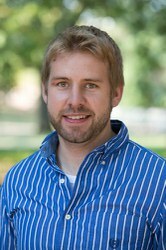 A scholarship was also awarded to Clayton Stoffel, M.S. candidate in Dairy Cattle Nutrition at the University of Wisconsin-Madison for his research on the effects of different fatty acid profiles on milk fat depression in dairy cattle fed diets below 4% fat. Yun Yu, M.S. 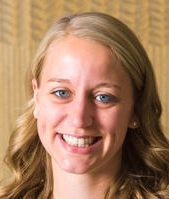 candidate in Food Science at the Pennsylvania State University, was awarded a scholarship for her research on a novel clean-in-place approach of electrolyzed water for dairy processing equipment. At their June 2012 meeting, the NMPF Scholarship Committee selected two graduate students to receive scholarships as part of the organization’s National Dairy Leadership Scholarship Program. These students were conducting research in areas that would benefit dairy cooperatives and producers. The 2012 Hintz Memorial Scholarship, which is given to the top scholarship candidate, was awarded to Rosemarie Cabral (left), a Ph.D. candidate in Animal Science at the University of New Hampshire. Her research project was “Improving immunity in the neonatal dairy calf”. In 2011, the National Dairy Leadership Scholarship Program continued to fund graduate-level research projects of immediate interest to NMPF member cooperatives in areas such as animal health, economics, food safety, and nutrition. NMPF’s Scholarship Committee again received a record number of applications this year and acknowledged the high quality of the applicants. Ultimately, four students were awarded a total of $8,000. The 2011 Hintz Memorial Scholarship, given to the top scholarship candidate, was awarded to João Paulo Nascimento Martins (left), a Ph.D candidate at Michigan State University. The title of his research proposal was “Effect of enhanced luteinizing hormone pulses during ovulatory follicle development on oocyte competency and subsequent pregnancy losses in dairy cattle”. Daniel Garrido, a Ph.D. candidate in Food Science at the University of California-Davis. The title of his research proposal was “Molecular validation of the prebiotic properties of casein glycomacropeptides”. Amanda Sterrett, a M.S. candidate in Animal Science at the University of Kentucky. Her research proposal was titled “Characterization of relationships between lying behavior, rumination behavior, and core body temperature using novel precision dairy farming techniques”. 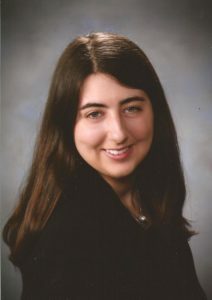 Laura Bradner, a M.S. candidate in Biochemistry at Iowa State University. The title of her research proposal was “Optimization of methods for the detection of Mycobacterium avium subsp. paratuberculosis in milk and colostrum of naturally infected dairy cows”. Applications are available for this year’s scholarship program. To qualify for an NMPF Scholarship, applicants must be currently enrolled in a graduate degree program in the United States and must follow all instructions in the application form (PDF). Completed applications will consist of an application package (an information form, a brief research summary, and a current resume) and two letters of recommendation. Materials must be received no later than April 5, 2019. Scholarship recipients will be selected by the NMPF Board of Directors in June 2019 and will be notified soon afterwards. Payment will be made to coincide with the start of the 2019-2020 academic year; however, students graduating in the spring or summer of 2019 are also eligible to apply. If you have any questions about the NMPF scholarship program, please call the NMPF office at 703-243-6111, or email Nicole Ayache. Questions about the NMPF scholarship program?